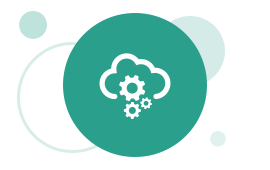 Oracle Self-Service Integration automates tasks between cloud applications. Improve your productivity and your collaborations by automating manual tasks without reliance on IT. Integrate Oracle apps with other popular cloud applications, or integrate between your other favorite cloud applications. Get started with Oracle Self-Service Integration by following our quick instructions for finding and creating recipes. How does a recipe work? Why build an SSI custom cloud app? Use Oracle Self-Service Integration to connect your cloud applications and improve your productivity.